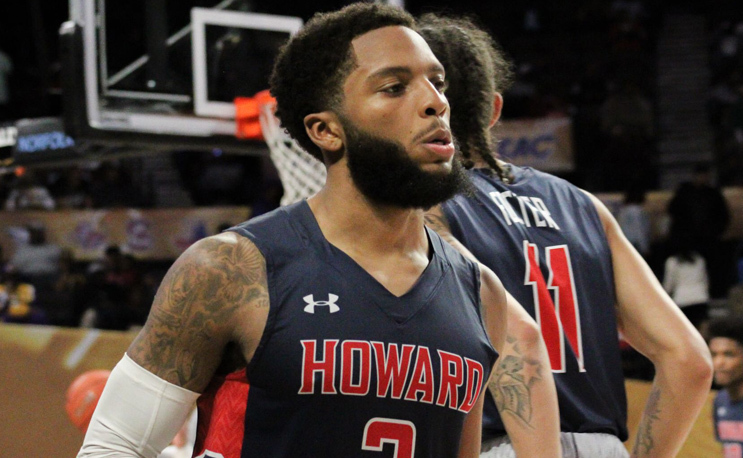 Howard’s RJ Cole is just a sophomore, but the reigning MEAC Player of the Year is throwing his name in the NBA Draft. It looks like there will be two HBCU stars leaving school early for the NBA Draft. Howard University star guard RJ Cole has decided to declare for the NBA Draft, according to The Undefeated. Cole will not hire an agent, per the report, leaving the door open for him to return to school. The 6’1 New Jersey native was named MEAC Player of The Year last month after a fantastic sophomore campaign that saw him lead the conference in scoring for the second straight year with an average of 21.4 points per game. That followed up a freshman season that saw him average 23.7 points per game. While Cole’s scoring went down his shooting percentage improved from 39.4 to 41.5, his 3-point shooting improved from 35.9 to 38.7 and his assists went up (6.4) while his turnovers went down. Cole would be the second HBCU player to declare for the NBA Draft early this spring. Shaw’s Amir Hinton declared for the draft after leading Division II in scoring this past season. No player from the MEAC or an HBCU period has been drafted since Norfolk State’s Kyle O’Quinn was picked in the second round of the 2012 NBA Draft.